Tom Francis, who used to be one of us writer folk until he escaped and started making games, is about to hit a big red button and release a new game. 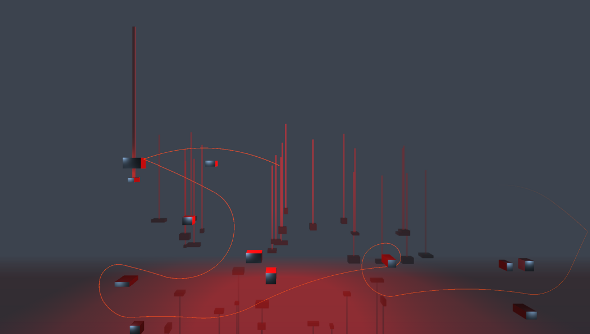 Surely you’ve already heard of Gunpoint, the greatest hacking game ever made (sorry Watch Dogs), but Floating Point is an entirely different kettle of fish. It’s a relaxing game all about swinging around randomly generated levels while listening to music like this. It’s coming to Steam today, and hold onto your monocles, because it will be completely free. 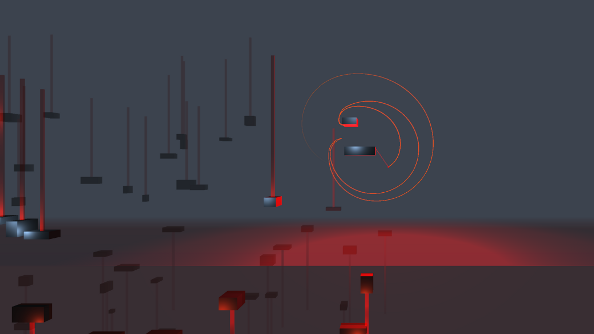 Floating Point is a simple game focused on collecting points by swinging around the levels without hitting anything. He’s also working away on Heat Signature, where players are tasked with sneaking around randomised, modular space ships that can be destroyed. It sounds great, but Floating Point should tide you over.